What better way to celebrate and transform the moment than the holiday season! This season’s PartyLite ideas bring the scents of holidays into your home to decorate, celebrate, and transform those cherished moments. I love PartyLite's candles and other fragranced items and am constantly impressed by how well they are made. Wicks stay straight. Candles burn evenly. Fragrance and color is spread throughout even the largest candles. And the burn time is amazing. My aunt is a PartyLite consultant and has me officially hooked on these amazing products. One of my favorite items is the square 5-wick pillar candle. It has a unique square shape with five points of light to deliver an increased fragrance experience. Burn Time: 75-90 hours. 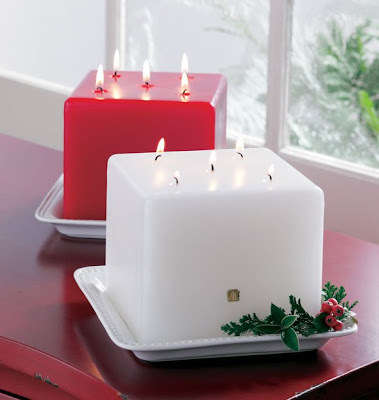 The Party Lite candle measures 6 x 6 inches and is available in 3 festive fragrances; Red- Cinnamon and Bayberry, White- Iced Snow berries, and Green- Spruce In The Snow. This would make an ideal centerpiece for a festive holiday table and provides a substantial amount of light as it evenly burns. Another favorite of mine are the symmetry pillar holders. 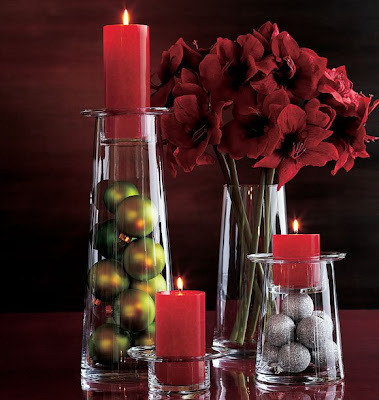 PartyLite's site says the "modern blown glass vessel offers clean, simple lines to complement any décor. Fill the base with dried botanicals or seasonal decorations and place a candle in the removable insert for a finishing touch. Base can also be used as vase." There is a link on the site with many decorating ideas. Perfect for any season! I'm having a party and wanted to include my online readers in the fun because there are some incredible deals only available to party guests. There are so many special offers available to party guests in November; some are up to 80% off! In addition, for every $40 you spend, you can purchase one item from the catalog at 50% off! This can mean big savings. To place an order, click the Look Up Your Host tab on this page and enter "Bethany Brown" in the pop up box. Follow the prompts. When you're finished, it should say that your order will count towards my show. Place your orders by midnight on November 28 to be included in the show. As an extra incentive, I'm going to do a giveaway with the party! For every $25 you order, you'll receive one entry for a prize with a value of $20! The lucky winner's name will be drawn on November 28 and will be announced on November 29. Miss you my dear friend!